Sheikh Maher bin Hamad Al Muaiqly, was born in the city of Madinah in the year 1969. He belongs from the Al Muaqily clan from Yanbu. Some People claimed that his mother was a Pakistani Immigrant but the claim was rejected by Maher's Brother on Twitter. He was a keen student of Mathematics and soon after he completed his Higher Education, he began to teach Mathematics as well. The Sheikh is Married and has 4 children. Soon after he left his job as an adviser and began to teach in King Abdullah Saud University in Makkah. He was then Appointed to lead Taraweeh in Masjid Al Nabawi in the year 1426 and 1427 (2005 and 2006). Finally in the year 1428 (2007), he was appointed to lead Taraweeh in Masjid Al Haram, Makkah and soon after Ramadan he was appointed as Permanent Imam. 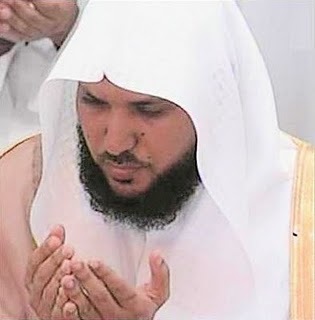 He used to lead Taraweeh in Pairs with Sheikh Abdul Rehman Al Sudais and then later in 2008 he started to pair with Sheikh Abdullah Awad Al Juhany until 2014. In Ramadan 2015 he and Sheikh Sudais were leading in Pairs. In 2016, he led Taraweeh alongside Sheikh Khalid Al Ghmadi and Sheikh Abdullah Awad Al Juhany. Sheikh Maher was Appointed as Khateeb of Masjid Al Haram in Ramadan 2016/1437 after a royal decree was issued by King Salman. He delivered his first Khutbah in Masjid Al Haram on 15th July 2016.